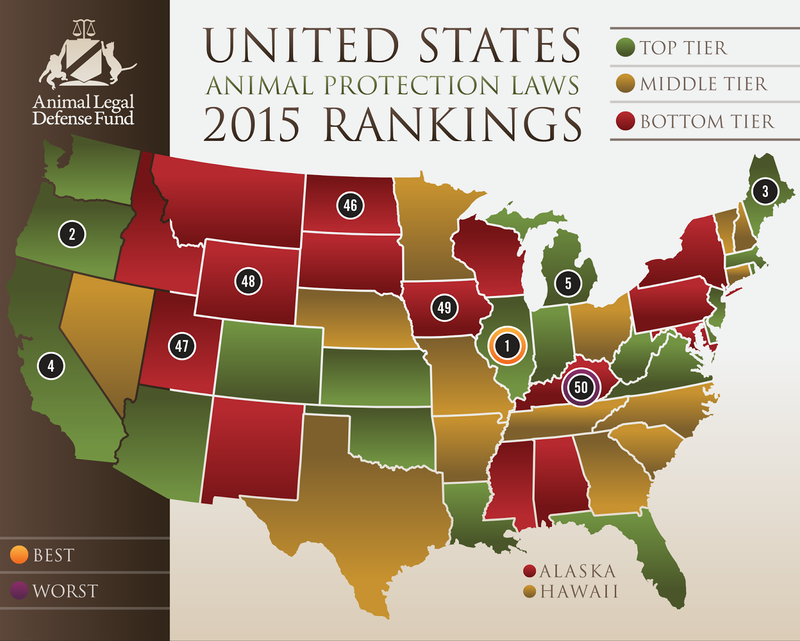 Today, the Animal Legal Defense Fund in the United States has ranked the states in order of animal rights. This belief of greater regulation in hotter climates is supported by native cultures: generally there were greater taboos on animal food in hotter regions than in cooler ones, and the greatest taboos of all were found in arid desert regions and in southern Australia where poor soils and dry climates (which create alkaline soils that immobilise phosphorus, zinc and copper) severely limit the availability of animal protein. Many primitive peoples in these regions were de jure and/or de facto vegetarians as a means of conservation – it is ironic that vegetarianism is most “trendy” today in some extremely protein-rich regions such as the Pacific Northwest and Germany where diets based upon animal foods cause limited or negligible ecological costs and comparative disadvantages in plant-based food production tend to be very large. 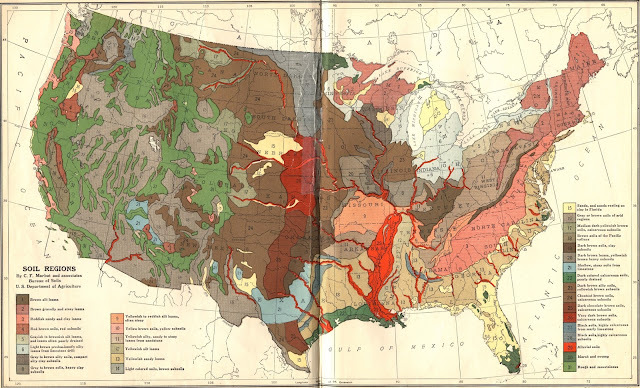 As can be seen from the map above, there does not seem to be a strong relationship between laws and actual ecological need – though I will stress that this is better than the usual result of inverse relationship whereby the best ecological laws found precisely where there exists least need. In general, the best animal protection laws would be needed in the low-nutrient Southern states and perhaps in the “southwest” (which ecologically includes California and Oregon as well as the states of Arizona, New Mexico, Utah and Nevada normally known as the “Southwest”). As can be seen, some of the relevant states, like Oregon, California, Arizona, Louisiana and Florida, are in the top third, but on the other hand New Mexico, Alabama and Mississippi have laws relatively much poorer than would be required. At the same time, numerous Northeastern states like Maine, Michigan, Illinois, Indiana and Massachusetts are relatively overregulated.